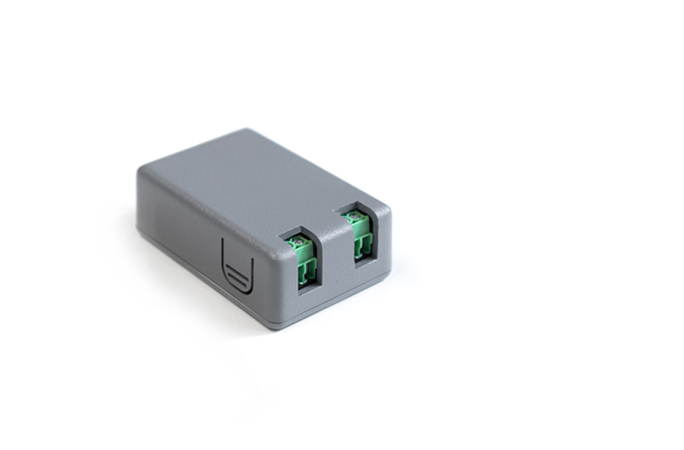 The IM32 is a wireless, self-powered input module with 2x software-configurable voltage inputs up to 30V. The IM32 is ideal for connecting analog sensors with 0-5V or 0-10V outputs, and for sensing output voltages of batteries and generators. The IM32 offers compatibility with the thousands of third party sensors that output analog voltage signals. The IM32's flexible interface is also ideal for monitoring output voltage of batteries and generators. The Samsara IM family brings wireless connectivity, real-time remote visibility, and the power of the cloud to virtually any environment. Samsara input modules are all-wireless and self-powered, enabling deployment without complex engineering or integration. Deploy IMs in new facilities, or use IMs to bring remote visibility to existing industrial sensors. The IM family can be deployed standalone or alongside a PLC. Samsara input modules bring modern cloud capabilities to traditional sensors, from centralized visibility to interactive graphs, real-time alerts, and mobile apps. A scalable cloud system spans projects from a single site to thousands of endpoints. When combined with Samsara IoT gateways, the IM family brings remote connectivity to industrial sensors at 1/10th the cost of traditional SCADA infrastructure: Samsara eliminates the need for proprietary networks, databases, historians, and complex engineering and implementation. Samsara input modules are designed for use in security-conscious environments. IMs are read-only. The entire Samsara system is isolated from control systems, even when input modules are deployed alongside PLCs. Enterprise-grade encryption and robust security tools provide best-in-class data security. Requires IM license. License includes cellular data connectivity, cloud software, mobile apps, ongoing firmware updates, maintenance, and support. Available in 1, 3, and 5-year terms.